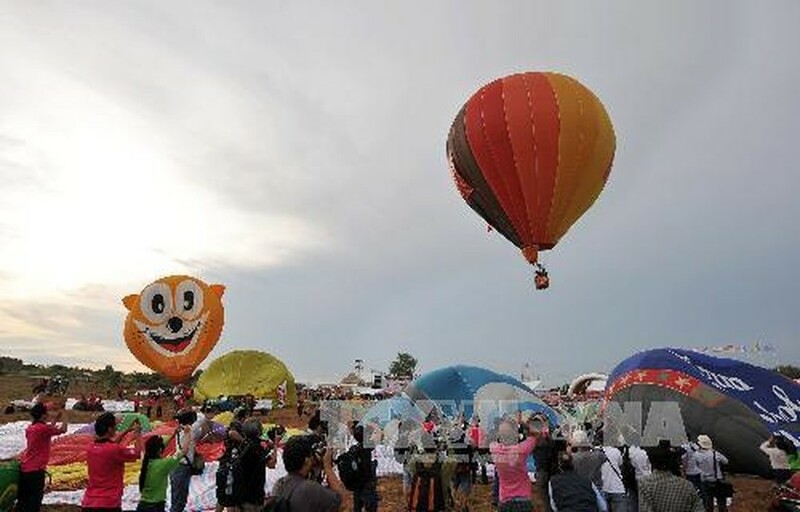 The first ever Vietnamese International Hot Air Balloon Festival took place in Phan Thiet City in the central coastal province of Binh Thuan on August 31. Many balloonists and pilots from 12 countries and territories are taking part in the event. Vice President Nguyen Thi Doan, Deputy Minister of Culture, Sports and Tourism Huynh Vinh Ai and representatives from several ministries and provinces attended the event. The central province of Binh Thuan is hosting the International Hot Air Balloon Festival, which is being organized in Vietnam for the first time ever. Besides Hot Air Balloon displays, the event, which is themed ‘Bien Xanh-Cat Trang-Nang Vang’ (Blue Sea, White Sand and Yellow Sunshine), will include multiple activities such as a trade fair, cuisine festival, flower garlands and colored lanterns festival, photo exhibition, kite surfing performances, dragon dances and street music shows. The organizing committee informed that 17 hot air balloons of all different shapes, sizes and colors will take to the skies above Phan Thiet within a radius of 25 km to portray the message ‘Blue Sea-White Sand-Yellow Sunshine’, the distinctive features of Binh Thuan Province. A wide range of activities, including kite flying and tourism and trade fairs will also take place as part of the four-day festival. The festival hopes to create a new kind of tourist attraction, while promoting the landscape of Binh Thuan in particular and Vietnam in general to international friends.